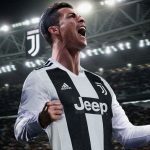 Cristiano Ronaldo has had an unbelievable and record-setting season, with his form for Real Madrid ready to deliver silverware and glory this term for the Spanish giants. It is undoubted that Ronaldo has passion and pride when competing for his country, and the attacker’s efforts will be focussed on ensuring that Portugal have a successive Euro 2012 campaign this summer. However, with the Iberian nation being drawn in ‘the Group of Death’, the Euro 2012 odds have Paulo Bento’s men as outsiders and Ronaldo will have to be at his best for Portugal to prevail. 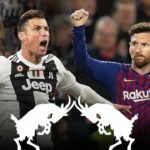 A criticism of Ronaldo, and of Ballon d’Or holder and key rival Lionel Messi, is that he does not replicate his form and ability from the club game onto the international scene. For Ronaldo to really go down in history as one of the world’s best players and be compared to the likes of Pele and Diego Maradona, he now has the challenge of winning an international tournament to show his pedigree. With Real Madrid this term Ronaldo has been unplayable at times. He has become the quickest player to every reach 100 La Liga goals for the Santiago Bernabeu club, and if he nets against Barcelona this weekend and Mallorca later in the campaign, will have scored against all 19 of the other sides in the Primera Division this season. 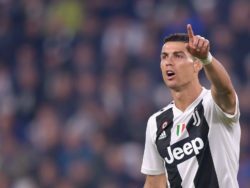 Ronaldo is Jose Mourinho’s main attacking threat, and is a key man in potentially bringing success to Los Blancos at home and on the continent. At Euro 2012 however, things will be slightly different. 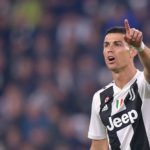 There will be no Mesut Ozil, Karim Benzema or Xabi Alonso like in his club life, and Ronaldo will be handed the task of inspiring a transitional Portugal side. The golden generation of Rui Costa, Luis Figo et al have been and gone, and the nation’s fans are now desperate to see Paulo Bento’s side excel in Ukraine and Poland. Given the pedigree of the opponents that Portugal will face, Ronaldo will have to be at his best. There is an argument that Ronaldo will be something of a one-man band for the Portuguese side, but the likes of Fabio Coentrao, Nani and Joao Moutinho are all top players and should provide an excellent supporting cast for main man Ronaldo. Portugal face Germany, Netherland and Denmark in Group B of the tournament, and progression would be an excellent achievement. The Danes are always a difficult and combative opponent, but the Portugal outfit will be hopeful of victory over the Scandinavians. 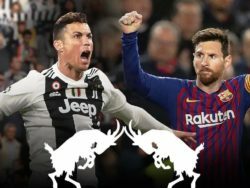 Playing against the Dutch and the Germans will be mouth-watering ties for the impartial onlooker, and be a real test of Portugal and Ronaldo’s abilities. 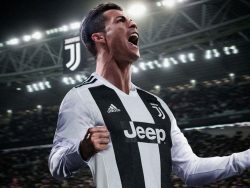 Ready to shoot into superstardom, Ronaldo is sure to be motivated to excel this summer, and with the eyes of the footballing world on the tournament in Ukraine and Poland, the lethal attacker can all but put himself in the history books by inspiring Portugal to glory.